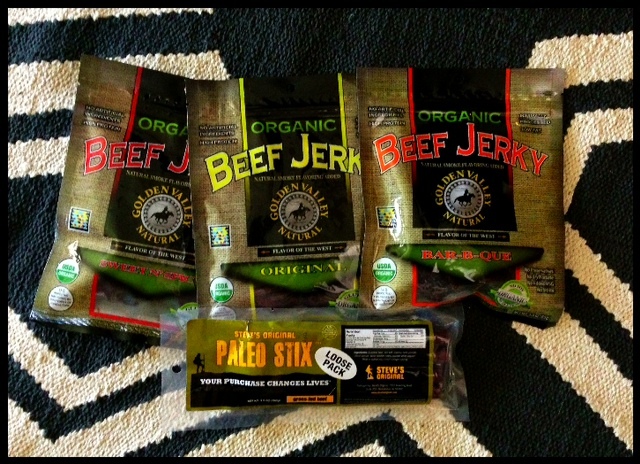 You want to make sure your jerky is MSG-Free, and Gluten-Free as well as a quality source. Are spices an issue for you? Anything that says “Natural Flavors” = dangerous, and most likely are a hidden MSG source. It’s important, especially when traveling to be able to have a quality protein source on hand – as most of the time you can find some quality fruit to get you by! Especially if you’re eating Paleo, or AIP (Auto Immune Protocol), you need to have a majority of your calories in good fats for your brain. Pack some avocados, some coconut oil, and some jerky! May I also just say that I’ve been thankful for my close relationship with Jesus? I AM so thankful for His unfailing love for me, even when I fail PLENTY. These challenges in my life have brought me closer to the One true God, in a way I never imagined. I’ve learned a lot about my strength in Him and through Him. He has never let me down, disappointed me or “not showed up” when I needed Him most. He points me in the right direction, blesses me with people who have helped me get fight for my health. He hears my cries, knows my pain, and has a purpose in it all. He is my best friend!!! Posted on July 3, 2013, in Auto Immune Disease, Food To Try, Truth and tagged auto immune disease protocol, celiac disease, gluten intolerance, Golden Valley Natural Organic jerky, healthy for him, Paleo Jerky, Steve's Paleo Kits, Us Wellness Meats. Bookmark the permalink. Leave a comment.